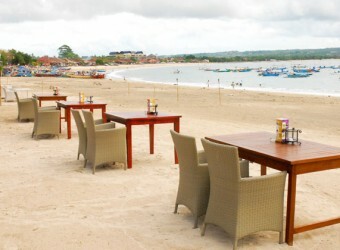 Bali Restaurant The restaurant is located at the end of Jimbaran Beach, Bawang Merah. It was opened in June, 2011. It is little far from the fish market and other seafood restaurants and has calm and quiet. They serve fresh seafood dishes with soft taste. Balinese Dance is also performed every night. Small dancers peform great dance.